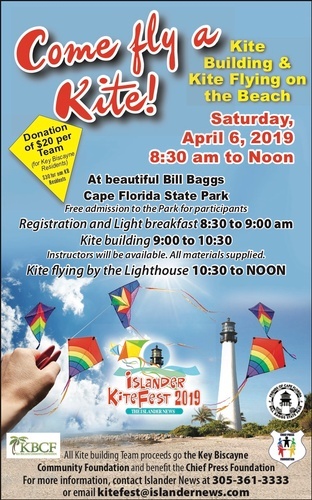 Join the Islander News for its inaugural Kite Fest - a fun-filled day of building, designing and flying a kite on the beach. Participants may take part in friendly competitions and winners will receive prizes. Teams will receive their own kite-making kit and continental breakfast. All team proceeds to the Key Biscayne Community Foundation and benefit the Chief Press Foundation.